Cut the top off, scoop out the seeds and pulp, add sugar (or honey or agave nectar) and spices (cinnamon, nutmeg, ginger, clove), place top back on or cover with foil, and bake in oven until tender (45 minutes to an hour). Serve as a special treat or dessert! Don’t forget to rinse the seeds, soak in salt water, drain, and scatter on a cookie sheet to roast in the oven for pumpkin seeds! We restocked Bee Healthy today with more Brussels sprouts on the stalk, and now 1# bags! We also added bags of small Red Cipollini onions–a treat when roasted whole, special flavor when caramelized–more green and red cabbage and our January King savoy variety…Turnips for your stews, Kohlrabi for the holiday relish trays, and 1# bags of colorful Carrots…Fingerlings and Red potatoes…Candy Onions…and Sugar Pumpkins and a plethora of Winter Squash! Today is the deadline for our Holiday Special Boxes, but I haven’t heard from all of you yet! I have 29 boxes left…we extended the sign up to Thursday for Friday, November 30th, or December 7th. Email craftterri@rtconnect.net, respond to this post, or text 431-1219. Cost is $25. Brussels sprouts–1# bag with a recipe for Brussels sprouts slaw, great way to enjoy RAW sprouts. Jumbo Onion–either Sierra Blanca White, Yellow Candy, Yellow Highlander, or Redwing. Sunchokes–1# with lots of information and ways to cook and benefit from the pre-biotic foods. 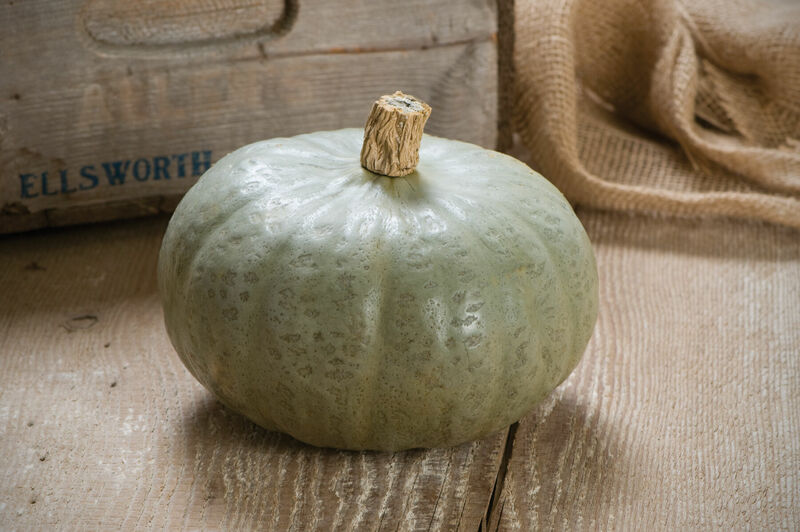 Winter Squash–Thelma Sanders Sweet Potato Squash, a sweet and smooth textured Acorn looking squash. Sunchokes-1# bag- recipes and info of course! Pumpkins are not just for Halloween–what’s Thanksgiving without good old homemade PUMPKIN PIE? Last year when we put homemade pumpkin pies in the The last Special Box, our friend Eric said we spoiled him and his family–they can never eat pumpkin pie made from canned filling again! Pumpkin pie is so easy to make! The Farmer’s Wife recipe is posted at http://www.lloydcraftfarms.com , Recipes, #64. Like all pumpkin pie recipes it starts with pumpkin purée. Pumpkin purée can be made in several ways. When I’m making multiple pies I use a large pumpkin cut into large chunks and placed on the stovetop in a soup stock pan with a lid. Add a couple inches of water and steam until tender. Once cooled enough to handle, I cut the pumpkin flesh off the skin. Pumpkin is easily puréed in a large mixing bowl. Only want one pie? Pick up a sugar pumpkin at Bee Healthy on Monday. 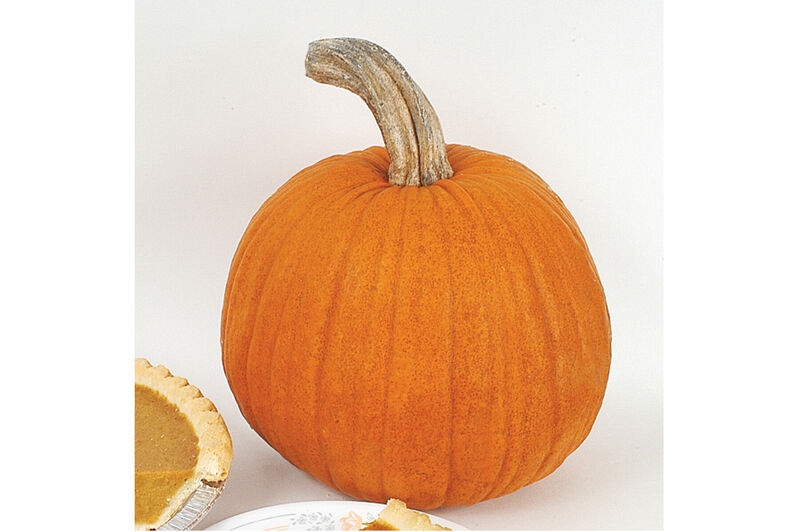 Cook the pumpkin as above on the stovetop, or simply cut the top off and scoop out the seeds, cook whole in the oven. (350 degrees til tender to the touch.) You can also cut into pieces and cook all day in the crockpot. My family LOVES pumpkin pie! Not just for Thanksgiving, but also Christmas and in the dead of winter! Either with a scoop of ice cream or cooled with fresh whipped cream—hmmmm…. 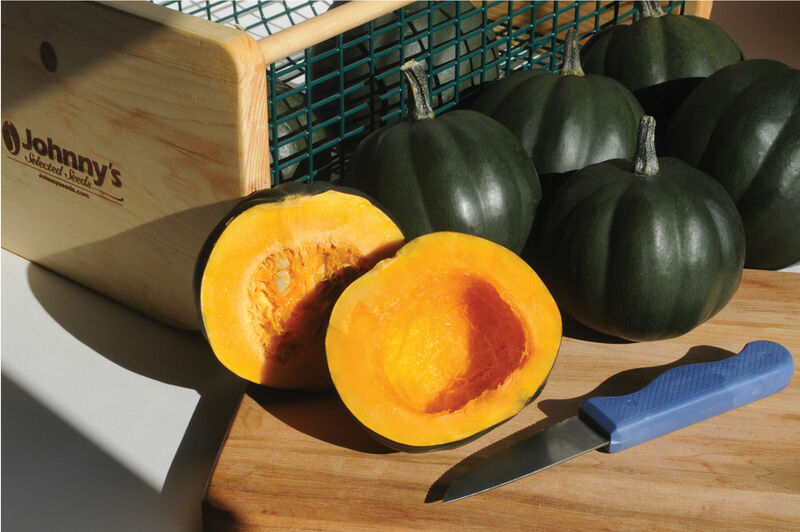 Winter Sqaush of the WEEK– KABOCHA! Preheat the oven to 400°F. Line a baking sheet with a silicon baking liner or parchment paper. De-seed and cut the squash into slices about 1/4 inch thick. Spread the slices in a single layer on the baking sheet and drizzle them with the oil. Bake in the preheated oven for 15 minutes, then turn over, drizzle with more oil and sprinkle more sugar, and bake for an additional 10-15 minutes. Here’s a tasty recipe that Lisa shared with the CSA last year! A good use of the Acorn Squash! We have Honey Bear acorn squash (pictured above), onion, and celery at Bee Healthy–I think Janet at Bee Healthy may have some healthy sausage, too. Using a sharp knife cut off the very top and bottom of each squash to create a flat base on each side (being careful not to cut through the center cavity). Slice the squash in half, scrape out seeds to create individual bowls for the stuffing. Drizzle each squash half with olive oil, salt, and pepper, and roast in a preheated oven at 400˚F (200˚C) for 40-50 minutes – or until fork tender. While squash is roasting – in a large fry pan over medium heat – heat oil and add onion, celery, salt, pepper, and rosemary. Cook until onions begin to soften. Add garlic and sausage, until sausage is browned on all sides. Add apple until slightly softened. Finally mix in Bread Crumbs and Parmesan cheese just until incorporated. Remove from heat. Once Squash has finished roasting (when you can easily poke it with a fork) remove from oven and fill each with prepared stuffing mixture. Return to oven for 20 minutes – adding a sprinkle of parmesan cheese to the top for the final 5 minutes.